In the three-phase three-wire, or 3V3A wiring scheme, the phase angle of voltage and current input to each input differs from that of the actual load because it is the line to line voltage that is measured. In that case, the measured power value for that input element may be - (negative). 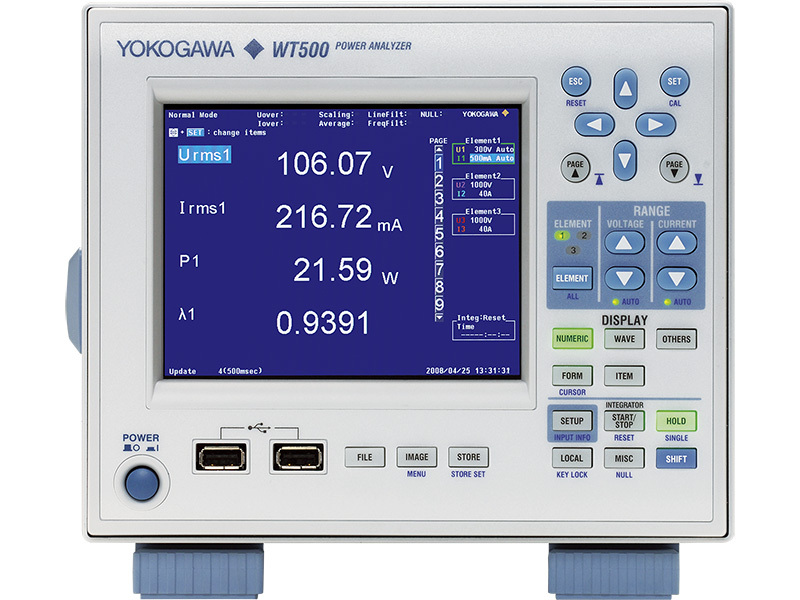 However, this is due to the fact that the measureing method is "apparent" or "for purposes of line to line voltage measurement," and does not reflect the true value of the load, which can never by negative. Please download and refer to the attached document for more information.